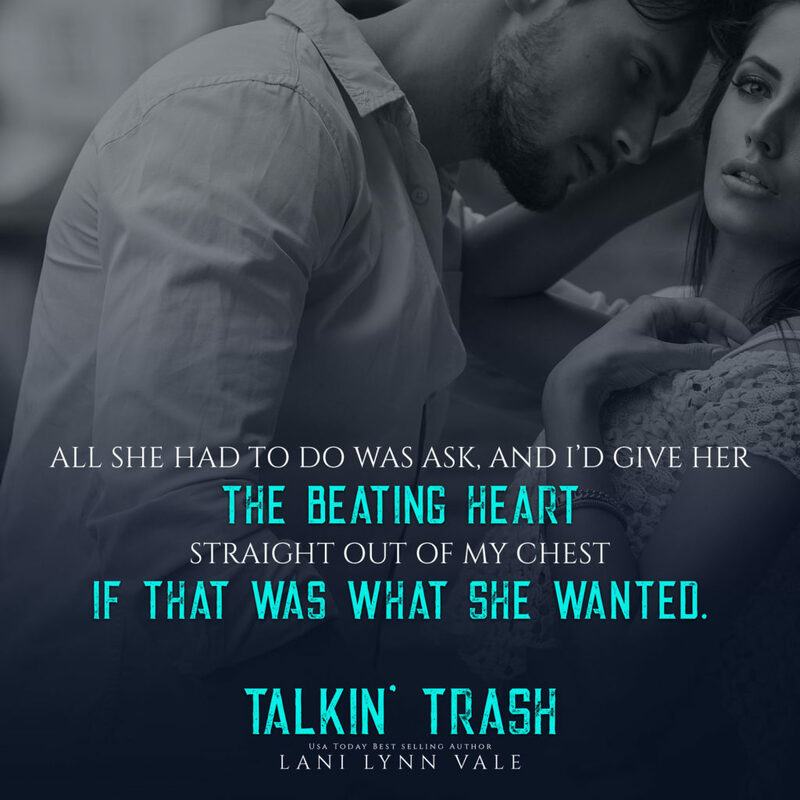 Talkin’ Trash is book 2 in the Bear Bottom Guardians MC series by Lani Lynn Vale. Linc plays in the NFL as the quarterback for the Longview Liners and is also a member of the Bear Bottom Guardians MC. Conleigh is working as a nurse while working on getting her master’s degree. Linc and Conleigh met 8 years prior, but Linc was warned off of Conleigh not only because of her age but because of who he was. Nothing can come in between true love. These 2 may not have been romantically linked previously, but their bond is stronger than most. Linc has reached the point where his patience for waiting for Conleigh has run out. He’s ready to make her his, forever. 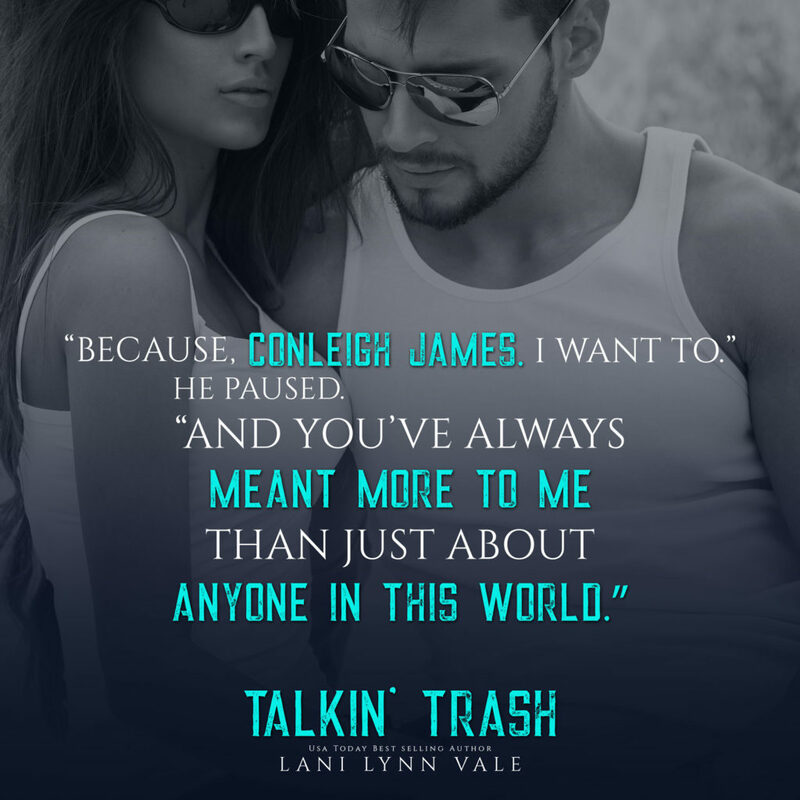 Beginning with a pregnancy rumor courtesy of Conleigh’s friend/coworker and ending with Linc in bed with another woman – Linc’s fame (and the consequences of this) might be the one thing that they can’t overcome. I LOVED this book. Con and Linc were great together. Another LLV hit! 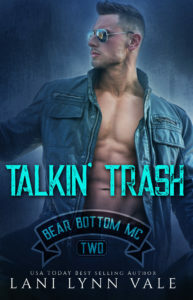 This entry was posted in Blog Tours/Promos, New Releases, Reviews and tagged Bear Bottom Guardians, Conleigh James, Linc James, LLV, New Release, release blitz, Review by kmarvin317. Bookmark the permalink.